Death is a very painful and emotional time, yet spiritual faith may allow it to be one that is filled with hope and mercy. Muslims believe that death is a departure from the life of this world, but not the end of a person's existence. Rather, they believe that eternal life is yet to come, and pray for God's mercy to be with the departed in hopes that they may find peace and happiness in the life that is yet to come. When a Muslim is near death, those around him or her are called upon to give comfort and reminders of God's mercy and forgiveness. They may recite verses from the Qu'ran, give physical comfort, and encourage the dying one to recite words of remembrance and prayer. 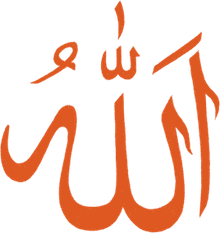 It is recommended, if at all possible, for a Muslim's last words to be the declaration of faith: "I bear witness that there is no god but Allah." Upon death, those with the deceased are encouraged to remain calm, pray for the departed, and begin preparations for burial. The eyes of the deceased should be closed and the body covered temporarily with a clean sheet. It is forbidden for those in mourning to excessively wail, scream, or thrash about. Grief is normal when one has lost a loved one, however, and it is natural and permitted to cry. When the Prophet Muhammad's own son died, he said: "The eyes shed tears and the heart is grieved, but we will not say anything except which pleases our Lord." This means one should strive to be patient, and remember that Allah is the One who gives life and takes it away at a time appointed by Him. Muslims strive to bury the deceased as soon as possible after death, which eliminates the need for embalming or otherwise disturbing the body of the deceased. An autopsy may be performed if necessary, but should be done with the utmost respect for the dead. In preparation for burial, the family or other members of the community wash and shroud the body. (If the deceased was killed as a martyr, this step is not performed; martyrs are buried in the clothes they died in.) The deceased is washed respectfully, with clean and scented water in a manner similar to how Muslims make ablutions for prayer. The body is then be wrapped in sheets of clean, white cloth (called the kafan). The deceased is then taken to the cemetery for burial (al-dafin). While all members of the community attend the funeral prayers, only the men of the community accompany the body to the gravesite. It is preferred for a Muslim to be buried where he or she died, and not be transported to another location or country (which may cause delays or require embalming the body). If available, a cemetery (or section of one) set aside for Muslims is preferred. The deceased is laid in the grave (without a coffin if permitted by local law) on his or her right side, facing Mecca. At the gravesite, it is discouraged for people to erect tombstones, elaborate markers, or put flowers or other momentos. Rather, one should humbly pray for the deceased. Loved ones and relatives are to observe a three-day mourning period. Mourning is observed in Islam by increased devotion, receiving visitors/condolences, and avoiding decorative clothing and jewelry. Widows observe an extended mourning period (iddah) of four months and ten days in length, in accordance with the Qur'an 2:234. During this time, the widow is not to remarry, move from her home, or wear decorative clothing or jewelry. A complete discussion of death and burial rites in Islam is given in the Authentic, Step-by-Step, Illustrated Janazah Guide by brother Mohamed Siala, published by IANA. This guide discusses all aspects of a proper Islamic burial including what to do when a Muslim dies, details of how to wash and shroud the deceased, and how to perform the funeral prayers and the burial. This guide also dispels many myths and cultural traditions that are not based in Islam.